These are the stories we love to share! Andrew Rich, a 7th grader in the Fox Chapel school district, organized a fundraiser game to benefit the Mighty Penguins for his Bar Mitzvah project. Andrew and 10 of his friends hit the ice to play our Mighty Penguins Junior team. On hand to help Andrew’s team was Paralympic Gold Medalist Dan McCoy. The boys learned a lot about sled hockey and got a chance to experience first hand how much hard work and dedication it takes for athletes to play the game. An appreciation for the adversity our athletes overcome to play the game we all love, was a valuable lesson for all of the boys. Dan McCoy graciously spoke to the kids about his Paralympic experiences and shared his gold medal! 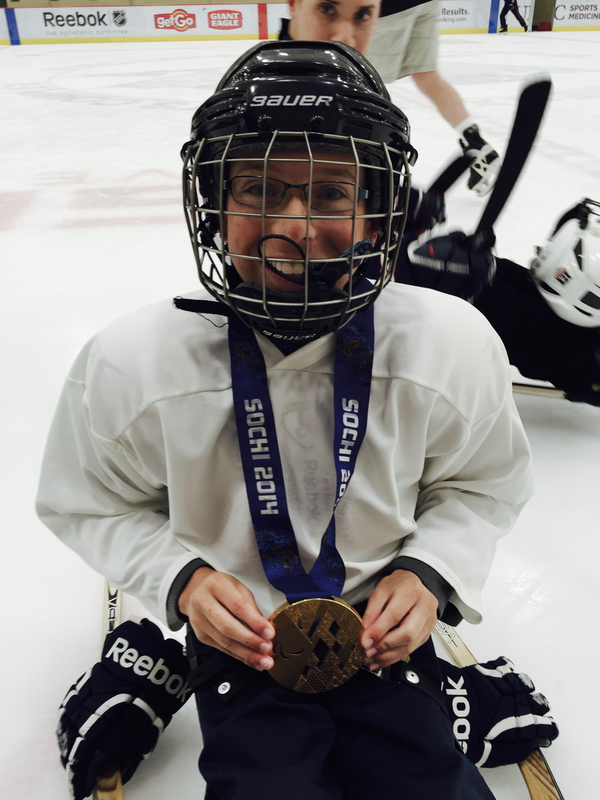 Getting to wear an Olympic gold medal was a highlight of the day for these kids. In addition to organizing the on-ice game, Andrew raised over $3000 for the Mighty Penguins team by asking friends and families to donate to the cause in lieu of Bar Mitzvah gifts! Thank you Andrew for coming out to support our amazing athletes and hitting the ice with your friends! You are an amazing role model for other kids and we can’t wait to see you back on the ice soon! 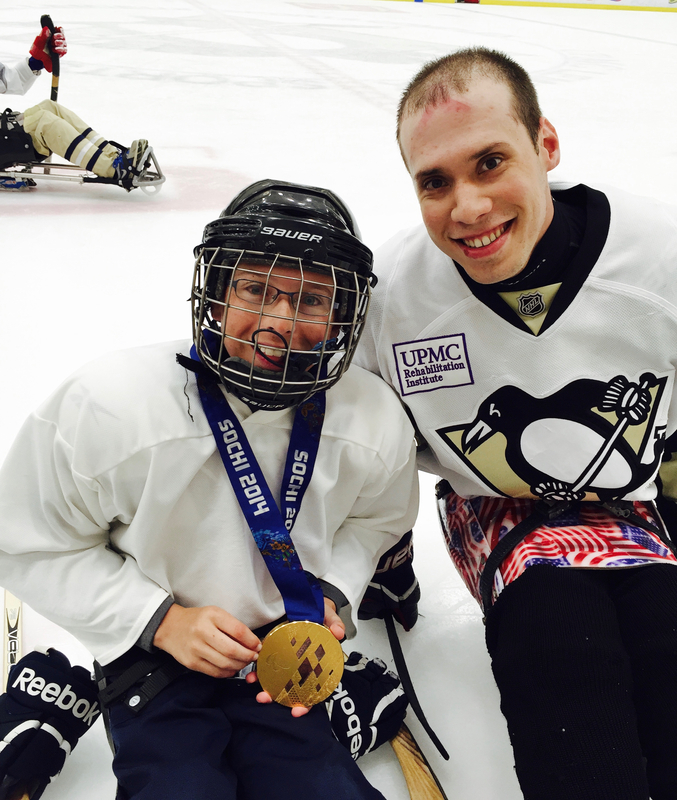 Pittsburgh Penguins Elite players collect over 80 pairs of skates for the Mighty Penguins!